Listening to a declaration of how wonderful books are (World Book Night, on 5th March, was one recent example), what I hear most loudly is a group of people feeling they have to say so. No one troubles to declare this for computer games. Instead of making books seem fun, the well-intentioned merely spread a whiff of burning martyr round the act of reading. Theodor Adorno, Alasdair MacIntyre, and others I’m sure, have pointed out that something has already given way when a culture begins to rationalize its moral code. Ethics is a sign that moral consensus has already broken down and often amounts to little more than a rear-guard action. Impassioned defense of the book may likewise signal the passing of an era. It’s a shame some libraries are closing, but this is not the end of civilisation. Quite the opposite. This line is probably true enough, although “Quite the opposite” is debatable. But one could justly reply that while it is not the end of civilization per se, it may signal the end of civilization as we know it (or, as we had known it as the transition has been in process for some time now). And this is no small thing. One might argue that books offer a better education than games, but they are also more isolating—there are no two-player books—and just as prone to being overused. It would be hard to imagine what the overuse of books might look like, but I suppose in principle it is possible. But the idea that books are isolating is only partly true. Reading a book does initially isolate the individual, I’m reminded of Julian Smith’s fantastic music video; but a book, precisely by speaking to our inner self, reminds us that we are, none of us, so isolated that others cannot put words to our experiences. In this way, books immerse us in solitude only to reconnect us more profoundly with the world around us. Needless, to say a book may also connect us intimately with the experience of others by providing a window into their experience that is unavailable otherwise. Freed from paper in this way, books have a much better chance of becoming cool again. In the first place, the pursuit of “cool,” is always decidedly uncool. Beside that, though, it is a curious statement to make because it confuses a text for a book. 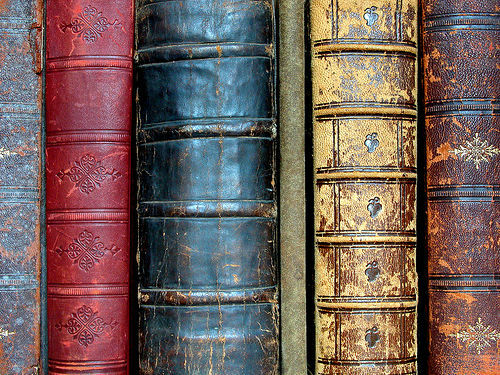 A book freed from paper (unless you are imagining papyrus or vellum) is an oxymoron. And this, perhaps, begins to reveal a deeper assumption at play in Benedictus’ essay — materiality is insignificant. The book as object does not matter. 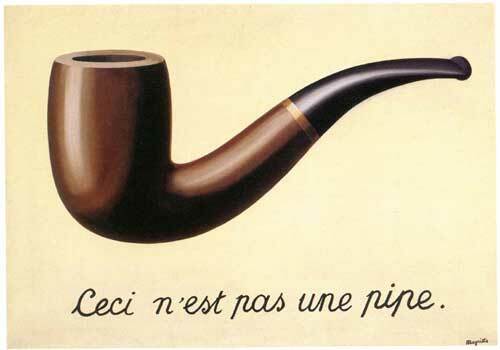 Perhaps what is needed is a work of art along the lines of Magritte’s “This Is Not A Pipe” in order to provoke us into understanding the significance of textual materiality. Reading is imagined merely as the transfer of immaterial data from one container (book, e-reader, etc.) to another (the human brain). This seems blind to the significance of the embodied experience involved in reading a book which activates each of our senses in very particular ways, ways an e-reader (regardless of its virtues otherwise) simply cannot. E-readers, of course, have their own materiality, and that matters as well. Discounting materiality also ignores the manner in which the book as object, by virtue of its particularity, is the repository of a host of memories and associations. A book can only be itself and so collects around itself its own unique history; the e-reader is every text it used to read, and thus it is simultaneously none of them. I remember where and when I bought many of my books. I remember where I read them and to pick up certain books is to be transported back to different moments in my life. The book as object, its particular and unique materiality, matters. This is not to suggest that e-readers have no place and no benefits, but it is to suggest that moving from books to an e-reader is not a transaction without remainder. Perhaps, but notice the equivocation. “Libraries closed” are not the same thing as “libraries of their own.” The former refers to a material fact, the latter refers vaguely to an assemblage of data. In any case, when they do look back, if they do, they may also be oblivious to the rich and textured experience of reading that attended those curious relics of a past civilization. Listen to Zadie Smith’s reflections on libraries here. I love your insights. My boys, who you know are both readers and video gamers, had to agree with Benedictus’ comment about books vs. video games. They often play games together but NEVER sit and read the same book together (unless it is a school read aloud, in which case they have no choice). But I had to agree with you and your comments about books themselves. Remembering where you read them and so on. There is, and will probably always be for me at least, somehting about holding a book that an e-reader will never measure up to. Certain books in particular leave even stronger memories (for example books with antiqued edges). I once lent a book to a friend and she commented that she knew it was a special book to me by the way I was handling the book. She was right. I would probably never ‘lend’ my e-reader out to someone never mind handle it in a special way like I would a ‘beloved’ book. Thanks for sharing that angle about the handling of a cherished book, another revealing insight about how the physicality of the book shapes our experience.